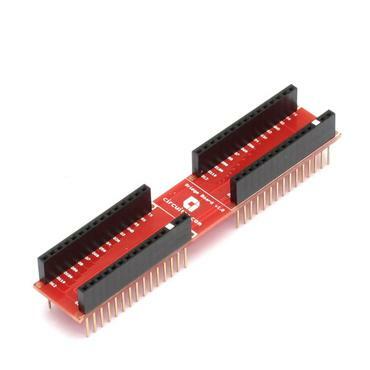 If you need to connect a large number of Nanoshields simultaneously, you can use the Bridge Board. 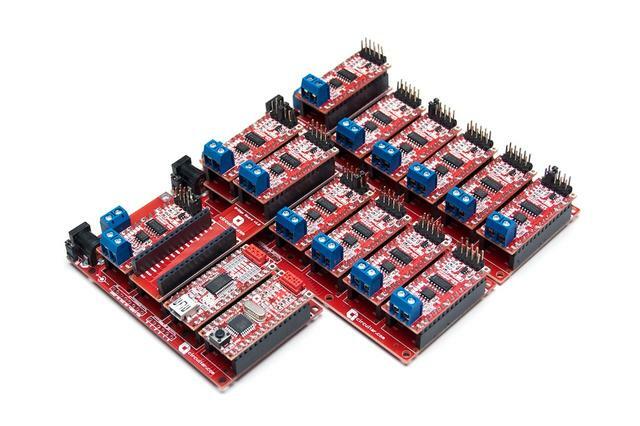 With the Bridge Board you can connect several Base Boards simultaneously on you project, this way having more slots available for Nanoshields. In order to use the Bridge Board, you just have to connect it between two Base Boards, such as shown on the figure below. Any slot on the Base Board can be used for this purpose. 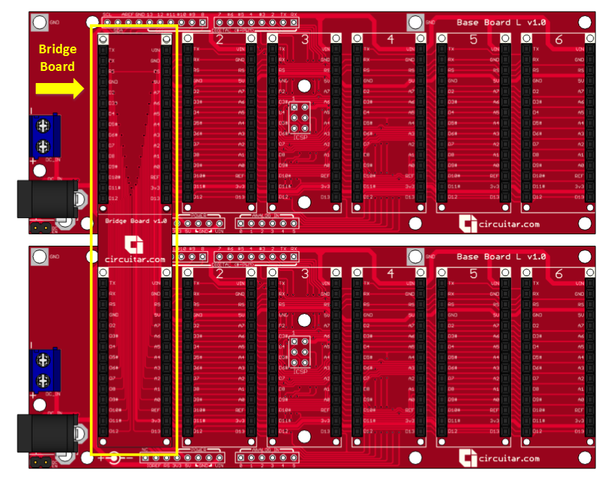 The following image shows a project example using three Base Boards and two Bridge Boards in order to read 13 temperature sensors by using the Termopar Nanoshield. Base Board - Assembly board for Nanoshields.